Critically Acclaimed: Movie Trivia Schmoedown: Critically Acclaimed vs. The Shirewolves! Movie Trivia Schmoedown: Critically Acclaimed vs. The Shirewolves! 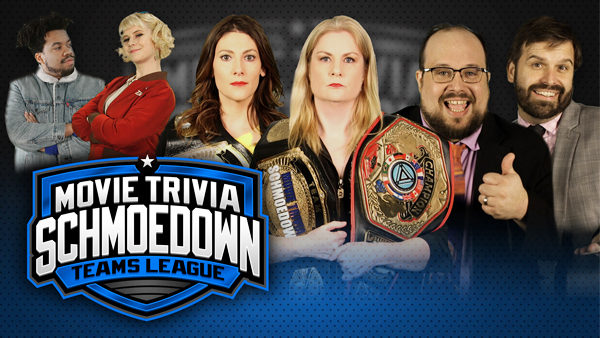 William Bibbiani and Witney Seibold take on their fiercest opponents yet in the Movie Trivia Schmoedown: Rachel Cushing and Clarke Wolfe, the champions themselves, The Shirewolves!